Antonia's Kitchen: Look where I am! 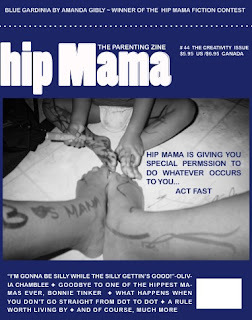 http://www.hipmamazine.com/Home.html and discover this wonderful publication. Also, please note, that Olivia's brilliant quote is featured on the cover. I'm so excited and happy! Please rush to your nearest periodical seller and request a copy today or consider subscribing to this faaaaaabulous 'zine!!!!!!!!!!!!!!!!!! that's awesome! I am so exited for you! I have emailed the staff and will post that info asap. Thanks for the interest!